Alberta is rapidly recovering from the downturn it faced as a result of weakened world-wide energy prices. This rebound means increased opportunities for the province's embattled labour force but there's a catch. Since few things are rebuilt exactly as they once were after a catastrophe, the recovering economy means employment opportunities are coming back but many of these new opportunities will require change, transition and relocation. The reason for this is, as the job market in wild rose country returns, particularly in energy-sensitive areas such as fire-ravaged Fort McMurray, Leduc/Nisku, Acheson and other energy sector service regions, those jobs will often be filled by someone new, someone who doesn't necessarily already live near the workplace being advertised. 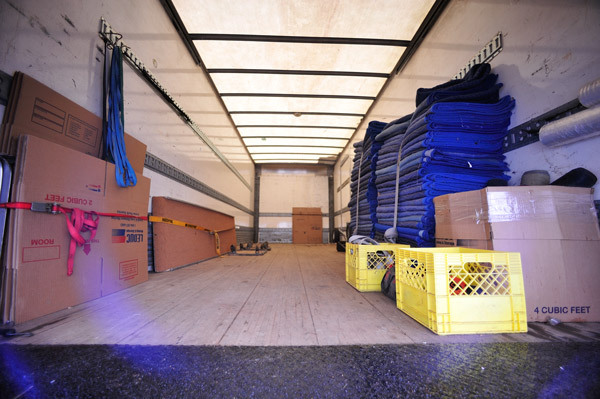 This means a sudden spike in professional relocation services such as those offered by Leduc Moving and Storage who has seen more than one downturn in their 75 year history. The reason for this relocation escalation is because many of the workers who had been laid off during the downturn have moved back to their home provinces, found other work or have simply dropped out of the job market. Statistics Canada reports an average of almost 600 individuals per month had moved out of Alberta throughout most of 2016. Many of the suddenly unemployed were forced to flee the province leaving their possessions behind to be sold at auction by the mortgage lender or, for the luckier ones, through garage sales or "buy, sell and swap" sites. Others tried to ship their household goods with opportunistic discount carriers. These sometimes disreputable movers began popping up after the crash with alarming frequency; trying to take advantage of a desperate market with super low prices and quality to match. It looks like, as usual, the professional moving industry is the bellwether for the provincial economy. We should all rejoice at the rebound. I am writing to express my satisfaction and appreciation for the excellent job your employees did in moving my furniture from one unit to another. The young men were efficient, polite and professional. Please extend my appreciation to them. I have already recommended your company twice, and would not hesitate to do so in the future. Wanted to let you know how pleased we were with Leduc Trucking and especially the driver who moved us from Wisconsin to British Columbia. We very much enjoyed working with him. He’s one in a million. I would recommend your company to anyone. ~ H. S. & B. S.
"worked quickly and yet took great care"
We are writing to say how very pleased we were with your service. The men were all very courteous and professional, from the moment they arrived at our house in Edmonton and introduced themselves until the time they had everything unloaded in Leduc, and shook hands to say “Goodbye” and thanked us for our business. They worked well together and showed care and concern for each other in lifting the very heavy items. They worked quickly and yet took great care in handling every item and as a result, none of our possessions, doorways, walls, etc. were damaged. Based on our experience, we would most certainly recommend your firm to anyone requiring movers. ~ T. & T. K.
I just want to tell you that I was so pleased with the young gentlemen that moved my things to Leduc. They were so pleasant and so considerate. I will tell anyone I know moving to be sure and call your company. Thanks so much for such a great job. "could not have been handled better"
Just a note to commend your company for the very fine handling of our move from Edmonton to Andover. The crew involved with our move were careful and expert in all that they did, and unfailingly cheerful in manner and accommodating of any questions or preferences that I or my wife expressed. The move could not have been handled better, and we thank you all for your care and skill. Thank you all so very much for your wonderful service, helpfulness, kindness, and all around greatness!!! Thank you for yet another “delivery” out to Saanichton, B.C. The guys are always so pleasant and helpful – and careful!!! We are always singing your praises to all and continue to strongly recommend Leduc Trucking. Thank you all again – very much!! ~ S. & M. H.
"excellent service over the years"
Leduc Moving and Storage has provided us with some excellent service over the years. We would like to thank you for once again making our transfer a pleasant experience. The punctual and courteous crew made this happen. We really appreciated the extra care and caution they used with our possessions, especially when carrying them into our new home. Please pass our praise and thanks onto this great crew. Thanks again. ~ C. & K. S.
"one of the nicest companies on earth!" Thanks to one of the nicest companies on earth! Thanks very much for organizing our complicated move. Special thanks to the crew for the packing done in Vancouver, British Columbia and Ft. McMurray, Alberta, and for the unloading in Reno. ~ L. & K. K.
I am sending you this in appreciation of the great job your company did on our recent move. Once again thank you and we will recommend your company at any time. I feel compelled to compliment the two young men who helped us move on such a hot and humid day. They worked long and hard and fought to get an extremely difficult sofa out of the basement. We very much appreciate how hard the guys worked, especially in such heat. Our former home had a difficult basement arrangement and they were fantastic and far more patient than any of us. We extend our thanks to those men and your company for the efficiency and expertise, and would highly recommend Leduc Moving and Storage in the future. "You and your employees are just great people. " Thank you for the wonderful service rendered by you and your employees to our family across Canada. You and your employees are just great people. Thank you. Just a short note re my move, from beginning to end, the service was very good. I would especially like to again thank the crew. Their work was excellent from the beginning to the very last box. I would like to provide you with feedback from our move. Let me begin by saying that your company has moved my family 5 times in the last 6 ½ years. The extra care and caution to our possessions and the personal detailed attention provided by your staff to ensure total satisfaction has made our moves an enjoyable experience. We have recommended your company’s services to many friends and family, and will continue to do so. I want to thank you for a move well done, and nothing lost or broken. A special thanks to the crew. You were referred to me from out here, and I will do likewise. Thanks again. Thanks so much for being so accommodating when it came to moving my piano. I appreciate your looking after it, and your reasonable prices. Thanks. "The men were all most helpful, tidy and prompt." First of all I would like to express our appreciation for the way your firm handled our recent move to Kelowna. The men were all most helpful, tidy and prompt. I can certainly recommend your people to any prospective customers. Thank you. ~ N. & C. B. Your concern for customer service and professional moving experience is one of the reasons we were recommended to your company. We will also refer people to you, as it is this reputation that keeps you one step ahead of the competition. Thank you again, and we look forward to doing business with you again in the near future. "quicker than I had even dared to hope"
This note is to commend you on the quick service. My furniture came much quicker than I had even dared to hope. I must also commend the two people who did the delivery. I have moved several times and the handling of the furniture today was better than any I had seen before. We are so pleased with the service your company provided. The young men who moved our goods did a great job. "I will gladly refer you highly"
I would like to thank you on behalf of my family and myself on a job well done. I will gladly refer you highly if I know of anybody who is making a move in the future. Thanks again.